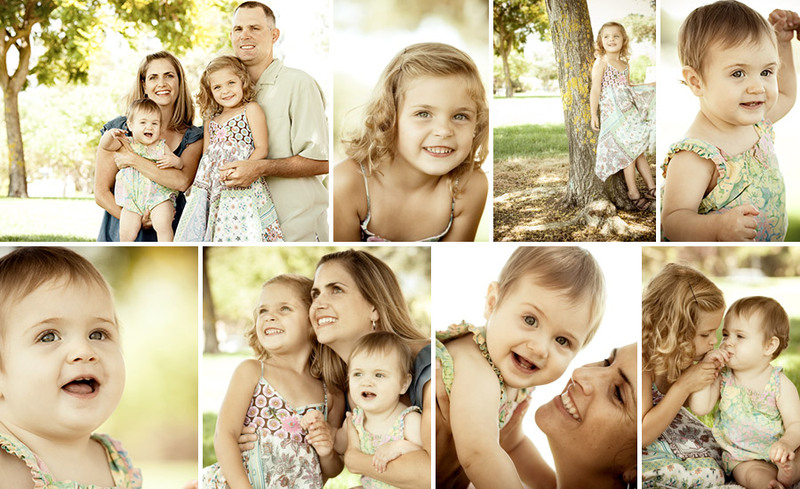 I took these a few months ago of a family friend’s family (say that fast 5 times!) and it just proves that location an lighting aren’t everything. We met at a neighborhood park, nothing fancy but quiet and low key. The only time we could schedule was during the middle of the day between naps etc. Usually I prefer to shoot in the morning or afternoon when the light is best. But given the small park and mid day lighting conditions, I think we got some great results! This was their first family portrait. The kids were so well behaved and photogenic, made it easy and I really had a fun time! I always get nervous photographing people I know. Well, I get nervous with all the people I shoot, but especially with family and friends I see all the time. I worry that they won’t like the pictures and then awkwardness will ensue at the next social function. I’ve held back on posting this shoot because I wasn’t sure the family liked them. I sent the proof gallery out and then heard nothing, for two months. I started to sweat it. Maybe I should check in with the family. Maybe I should offer to reshoot. And then finally I received an order. And not just a couple of pity pictures, a really big order! I was really relieved and happy I could stop obsessing about blowing the job. Happy that I wouldn’t have to hide in the basement the next time I saw this family. It was a good day. I LOVE your pictures. These are gorgeous. Robin, I had no idea you had this blog—–us older people take awhile. The Argabright’s, the Argabright Seniors, myself and the Albrights, Ally’s Sister-in-law’s family, have your pictures all over the place. WE LOVE them. Thank you! Are you currently taking on more jobs? Thanks Arlene! Yes, still working these days 🙂 Glad to know everyone is enjoying your sweet girls!